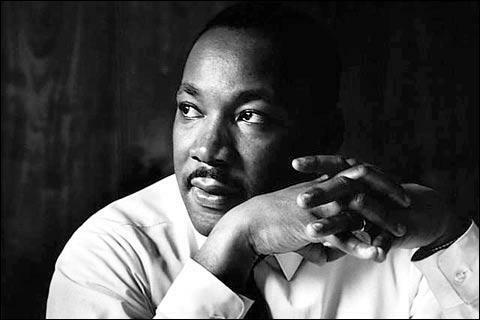 Thoughts on Being a Citizen of Humanity with Thanks to Dr. Martin Luther King Jr. I heard an enlightening interview on our favorite radio station back on Thursday January 16 with one of the artists behind one of the afore-mentioned events. He talked about having seen Dr. King in person as a child and remembered how quiet and unassuming he was offstage, a stark contrast from his speaking persona. Just another reminder of Susan Cain’s well-made point, and a reminder that it takes time and reflection to generate as much insight as Dr. King did in his too-short life. I was in the usual balancing act of talking to my son while listening while driving and so I didn’t hear everything that was said, but I was lucky to tune back in to hear a basic rule of citizenship: all you have to do in your lifetime is get us all one rung higher – that’s it. That’s why I’m thinking about civil service today and feeling guilty for not being more “on show” with my service. The truth is that thanks to Dr. King’s teachings I’ve always kept an eye on what positive contributions I make and while what I do is small scale stuff, it is always with a love for the whole of us. In my years of contemplation on the topic, I have come to believe that there are as many ways to make a positive contribution as there are people on this planet, that we are designed to contribute to our collective advancement. Some of us get the limelight and the accolades, some of us get the shame and the condemnation and most of us get something far more mundane, but in the final analysis we are each and every one of us important to the whole of us. Dr. King taught us all that in his quiet and deliberate way. And among a peaceful army, he fought to bring that truth into our conscious awareness. In my nostalgia for the civil rights movement, something that I have only learned about since I was born in the mid-seventies, I think of the honor and pride with which the freedom fighters embraced their hard-won citizenship. I may not have my facts straight here, I probably don’t, and for the purposes of what I’m writing it’s okay. Since learning about the idea of citizenship classes, I’ve often wished that we as a whole would have learned more from that fabulous idea. To be a citizen is to carry responsibility, always. I tend to take the notion of citizenship beyond our invented social boundaries which is why I tend toward the term citizen of humanity (even if I did learn it by purchasing a pair of pricey jeans). In my last post about Dr. King, I was thinking about personal responsibility and as my thoughts have turned toward social responsibility I cannot help but see how closely the two are related, how we cannot do one without the other. I’ve heard many criticisms about the high levels of narcissism and self-interest in our contemporary US society, but I think that sometimes it can be difficult to discern between truly attending to oneself and to being purely self-interested. I think that on a collective level we are rather confused about these things and the only way to really get clear is to pay more attention at the most personal level and to engage in heartfelt relationships. As we open to ourselves and to being close to others we open up to our true place as a citizen of humanity. Today and every day, here’s to finding and embracing our place in the collective whole, where all our goodness can fully express itself! This entry was posted in The Enlightened Path, The Gratitude Stash on January 20, 2014 by elizatwist. As always, you got me thinking Ben. One, that this really is a question for personal reflection as we each have our own unique balance of personal and social needs. And two, that having a guiding principle is helpful to keep us on our own track. I’d add to yours, “listen twice as long as you talk”. Yep. We have a similar response over here. Some of us are blessed with the gift of the gab.